Running a restaurant can be an exciting and lucrative endeavor. However, restaurant owners face a number of unique risks. Sports-oriented restaurants in particular can be risky as most serve alcohol which can make a business owner liable in the event of a vehicle accident. Fortunately, there is ample coverage for restaurant owners available. As part of a nightlife insurance policy, restaurants can gain access to commercial auto insurance which provides protection for vehicles owned, rented, or leased. Learn more about commercial auto insurance and why you should speak with an restaurant insurance broker today. 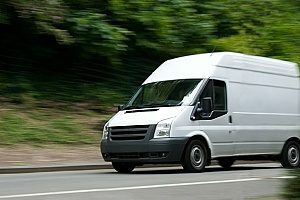 Commercial auto insurance is required to cover the cars, vans, and trucks used in conducting your business. Unlike personal auto insurance which generally covers personal vehicles, commercial auto insurance can cover everything from company cars to box trucks and work vans. Personal auto policies are written and rated differently. However, similar to a personal auto insurance policy a commercial policy will generally provide the same coverages, such as liability, comprehensive, collision, personal injury protection, and uninsured motorist coverage. As a food service business owner, there may be times when you need to rely on employees to drive a personal or rental vehicle to perform business-related errands. Even if your business does not offer food delivery services, there are various scenarios in which driving may be required. For example, if you run out of a certain ingredient in your kitchen you may send an employee to pick up more. If the employee gets into an accident, your business may be held liable for any injuries or damages that ensue. Auto insurance covers the high costs of legal fees, settlements, or court-ordered judgements. Every time you or an employee runs a business-related errand, your business is at risk if an accident were to occur. Depending on the circumstances surrounding the accident, your business could be looking at a lawsuit. Attorney fees, punitive damages, medical expenses, and lost wages can result in a significant sum of money. In many cases, a restaurant could be responsible for up to six figures in damages. Having a commercial auto insurance policy can ensure any out-of-pocket expenses are minimal, as most commercial auto insurance policies have higher insurance limits than personal policies. As the owner of a restaurant, you are not always available to take on every responsibility. That is why you have employees to stand in for you when you are busy with other obligations. One such responsibility that is often put on employees is driving tasks. However, if an employee gets into a vehicle accident while in a company car, van, or truck, you could be responsible for any damages caused. The right commercial auto insurance policy will cover your employees and your business from any lawsuits resulting from at-fault auto accidents. In addition to protecting employees, commercial auto insurance can also provide coverage for expensive restaurant equipment. From hydraulic lifts to catering equipment, these pieces of equipment can cost hundreds to thousands of dollars to replace. Fortunately, commercial auto insurance will generally provide full or partial reimbursement for any equipment or supplies that were damaged during the vehicle accident. It is important to know that most personal auto insurance policies do not cover the cost to replace business equipment or supplies. Therefore, having a commercial policy can save you a substantial sum of money. 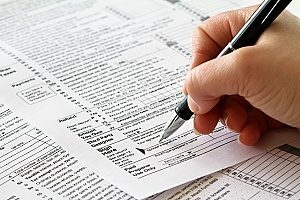 Tax write offs can save a business a major chunk of money. What some businesses are not aware of is the ability to write off certain vehicle-related expenses, such as gasoline used in your company car for business-related tasks or expenses relating to vehicle upkeep. One major expense that you can write off on your business taxes is commercial auto insurance. Before purchasing an auto policy, consider how much you can save on your taxes by choosing to invest in proper commercial insurance. You will also maintain the peace of mind that your business is protected from certain liabilities. Commercial auto insurance can provide businesses like restaurants a wide range of benefits, including the ability to maintain compliance with state and local laws. Business owners have different needs than the average driver and are at an increased risk of financial damage in the event of a car accident. Commercial auto policies are better equipped to deal with these types of concerns than personal auto insurance. Commercial policies generally have higher dollar amounts for coverage limits and a greater range of categories which puts your business at an advantage. 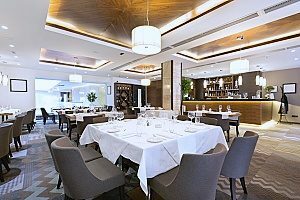 Contact an restaurant insurance broker today to apply for commercial auto insurance as part of a restaurant insurance policy. Previous Post: « Will Special Event Insurance Protect Fireworks Displays From Damages?